How to buy weakness on semiconductors. The semiconductor industry is an important segment of the economy as almost every product we buy, from our automobile to our smart phone, contains computer chips. 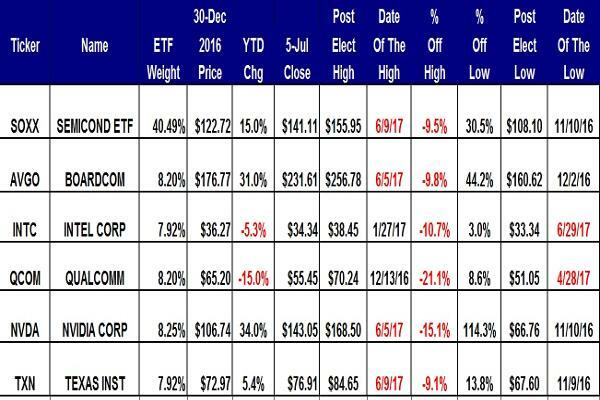 The iShares PHLX Semiconductor ETF (SOXX - Get Report) is a good benchmark for the 30 largest chip makers. The SOXX fell from bull market territory at its June 9 high, then began July in correction territory vs. the high. This provides a warning for tech stocks in general and for upcoming economic strength. Investors looking to buy weakness on semiconductors can consider the exchange-traded fund or choose from its top five components. Broadcom (AVGO - Get Report) has a weighting of 8.11%, Intel (INTC - Get Report) has a weighting of 7.09%, Qualcomm (QCOM - Get Report) is 7.53%, Nvidia (NVDA - Get Report) is the largest, at 9.82%, and Texas Instruments (TXN - Get Report) , with a weighting of 7.53%. While semiconductors warn, July began with a Dow Theory Buy Signal. This old-economy indicator occurs when both the Dow Jones Industrial Average and the Dow Transportation Average set new all-time closing highs as they did on Monday. Strong transports and industrials at the same time means goods are being made and shipped. Note the mixed performances. The SOXX ETF is up 15% year to date and is 9.5% below its June 9 high, but it's still in bull market territory, 30.5% above its post-election low. Broadcom and Nvidia are outperforming the ETF year to date and since post-election low, Nvidia is in correction territory vs. its high. The older members on the list Intel and Texas Instruments have year-to-date declines and are in correction territory. 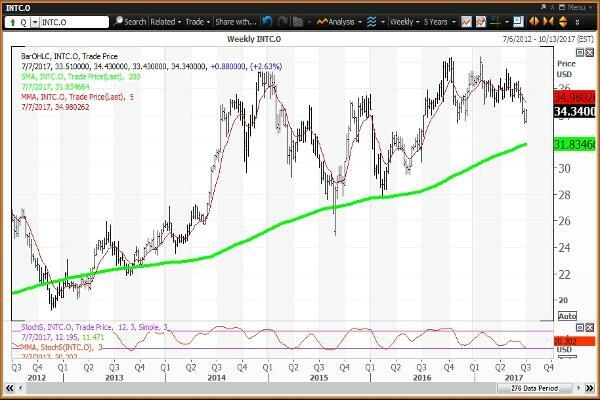 When looking at the weekly chart, keep an eye on the 200-week simple moving averages shown in green. Investors should consider the 200-week simple moving average as the "reversion to the mean" for each stock. The "reversion to the mean" is an investment theory that the price of an index, will eventually return to a longer-term simple moving average. 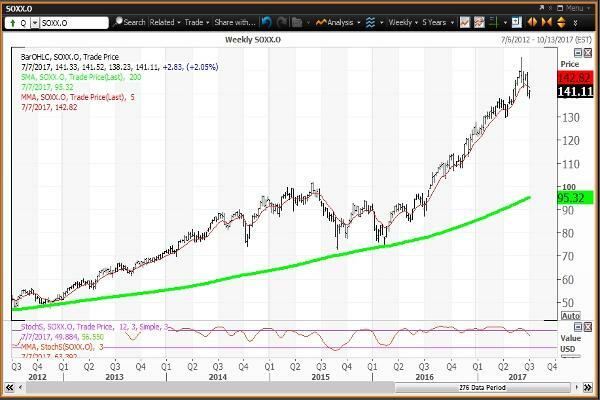 A logical choice that's easy to track is the 200-week simple moving average. A stock trading above its 200-week simple moving average will eventually decline back to it on weakness. Similarly, a stock trading below its 200-week simple moving average will eventually rebound to it on strength. The weekly chart for the Semiconductor ETF is negative, with the ETF below its five-week modified moving average of $142.82. The ETF is well above its 200-week simple moving average, the "reversion of the mean" of $95.32. The 12x3x3 weekly slow stochastic reading is projected to end the week at 63.39, down from 70.14 on June 30. Buy weakness to my semiannual, quarterly and annual value levels of $137.91, $132.26 and $128.80, respectively. Sell strength to my monthly risky level of $155.93. The weekly chart for Broadcom is negative with the stock below its five-week modified moving average of $235.44. The 200-week simple moving average is the "reversion to the mean" at $126.66. The 12x3x3 weekly slow stochastic reading is projected to end the week at 67.77, down from 73.19 on June 30. Buy weakness to my quarterly and annual value levels of $225.83 and $168.75, respectively. My semiannual pivot is $233.30. Sell strength to my monthly risky level of $252.62. 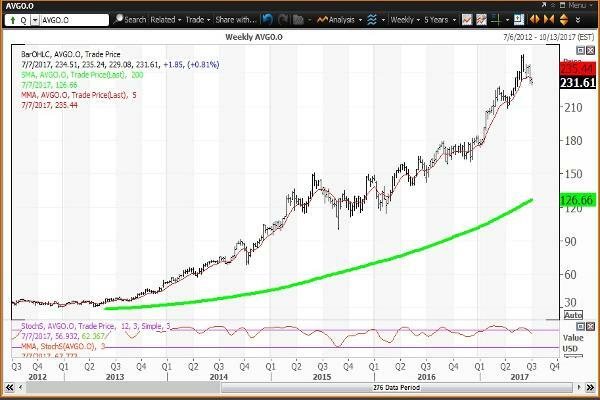 The weekly chart for Intel is negative, with the stock below its five-week modified moving average of $34.98. The stock is above its 200-week simple moving average of $31.83, which is the "reversion to the mean." The 12x3x3 weekly slow stochastic reading is projected to decline to 20.20 this week, down from 24.20 on June 30. Buy weakness to the 200-week simple moving average rising at $31.83. Sell strength to my monthly, quarterly, semiannual and annual risky levels of $36.20, $37.88, $41.99 and $42.13, respectively. The weekly chart for Qualcomm is negative with the stock below its five-week modified moving average of $56.25, and below its 200-week simple moving average of $64.62, which is the "reversion to the mean." The last test of the 200-week was during the week of Jan. 20 when the average was $65.72. The 12x3x3 weekly slow stochastic reading is projected to fall to 61.40 this week, down from 64.90 on June 30. Buy weakness to my quarterly and monthly value levels of $50.68 and $47.29, respectively. Sell strength to my semiannual and annual risky levels of $61.58 and $84.45, respectively. The weekly chart for Nvidia will shift to negative given a close on Friday below its five-week modified of $139.87, which held at this week's low. 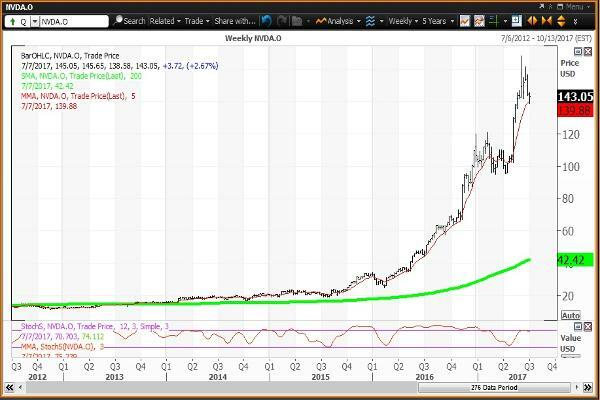 The stock is well above its 200-week simple moving average, which is the "reversion to the mean" of $41.42, as the chart looks like a popping parabolic bubble. The 12x3x3 weekly slow stochastic reading is projected to decline to 75.23 this week down from 77.51 on June 30. Buy weakness to my quarterly value level of $138.46. Lower semiannual and annual value levels are $80.39 and $68.09, respectively. Sell strength to my monthly risky level of $163.57. 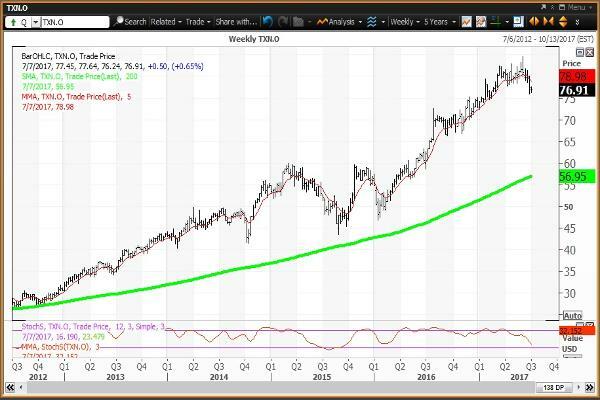 The weekly chart for Texas Instruments is negative with the stock below its five-week modified moving average of $78.98. The 200-week simple moving average of $56.95 is the "reversion to the mean." The 12x3x3 weekly slow stochastic reading is projected to decline to 32.15 this week, down from 40.13 on June 30. 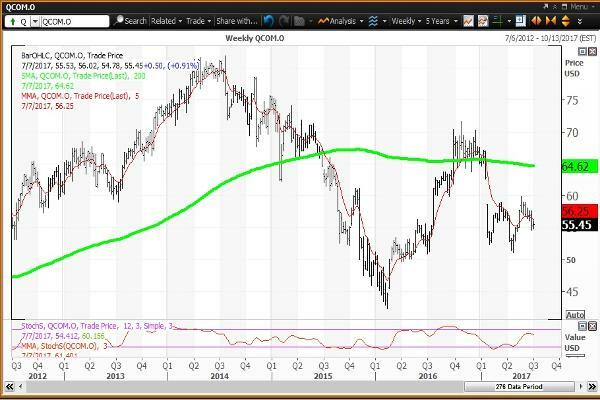 Buy weakness to the 200-week simple moving average, which is rising, at $56.95. My annual pivot is $77.08. 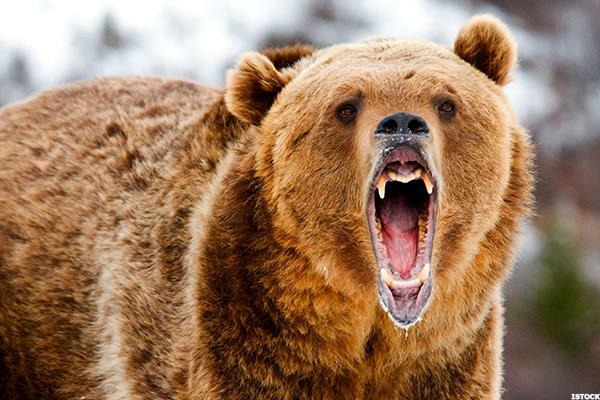 Sell strength to quarterly, semiannual and monthly risky levels of $82.26, $82.42 and $83.63, respectively.